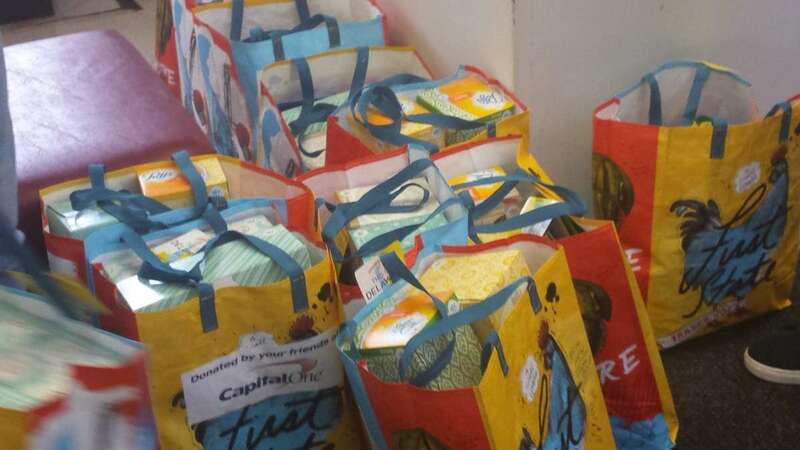 Capital One donated several containers full of supplies to one Wilmington school that really needed it. 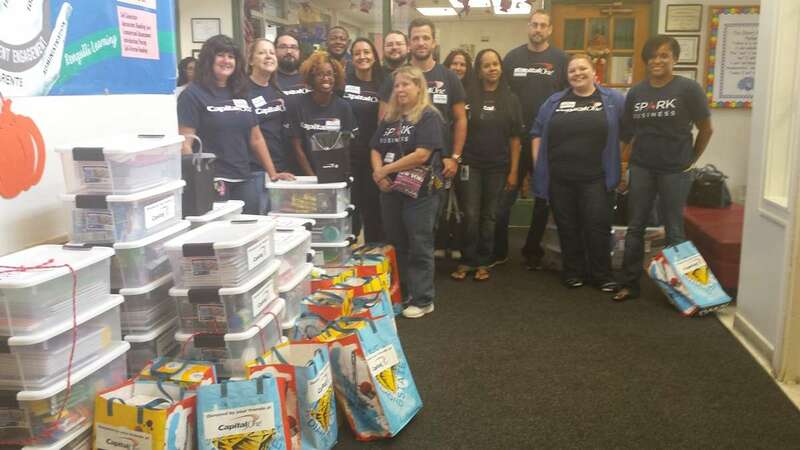 A team of volunteers from the credit card company dropped off boxes full of notebooks, pens, pencils and crayons at the Elbert-Palmer Elementary School in Wilmington on Tuesday. Nichelle Dewitt, dispute analyst at Capital One, said the bank is aware that some parents can’t afford all of the items the school has asked them to supply, so Capital One decided to step-in. Children and Families First coordinated the donation to the school in the city’s Southbridge neighborhood. “Over 85 percent of our students are on free or reduced lunch, and knowing that, we try to do what we can so that nobody is without,” said Marilyn Gwaltney, site coordinator with the nonprofit. Gwaltney said her organization has partnered with Capital One for many years. She said in addition to school supplies, Capital One also donated school uniforms and has volunteered in classrooms in the past. “It’s good for the children to see people from the outside, especially the businesses coming in and giving their time because one day we hope when they’re adults, they’ll help another little one,” she said. Student representatives led Capital One volunteers up the stairway to the designated classrooms, so that they could hand deliver the supplies to the school’s 265 students. 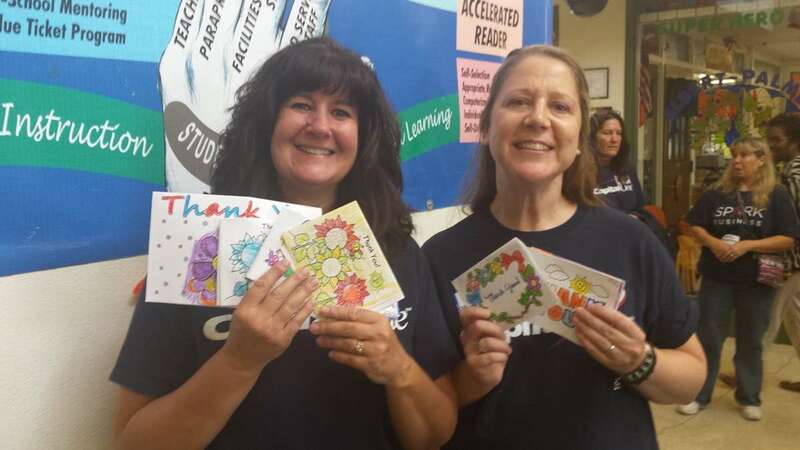 Heather Kwiatkowski and Denise Zatwarnytsky dropped off the supplies and received an unexpected gift in return – “Thank You” notes from the students. The ladies showed them off to the rest of the volunteers.